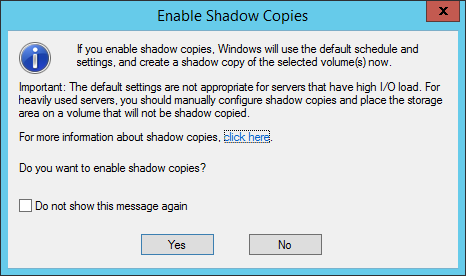 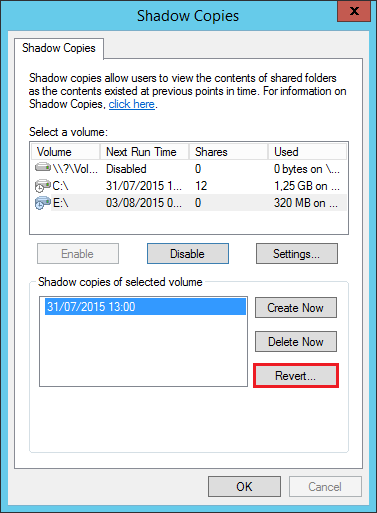 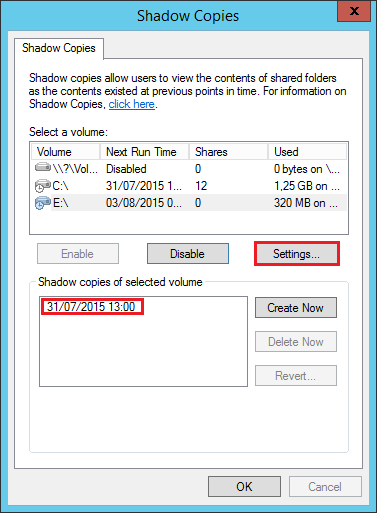 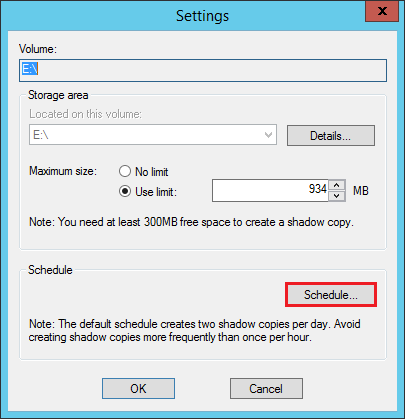 Volume Shadows Copies (also known as Volume Snapshot Service or VSS) is a technology developed by Microsoft to take restorable snapshots of a volume. 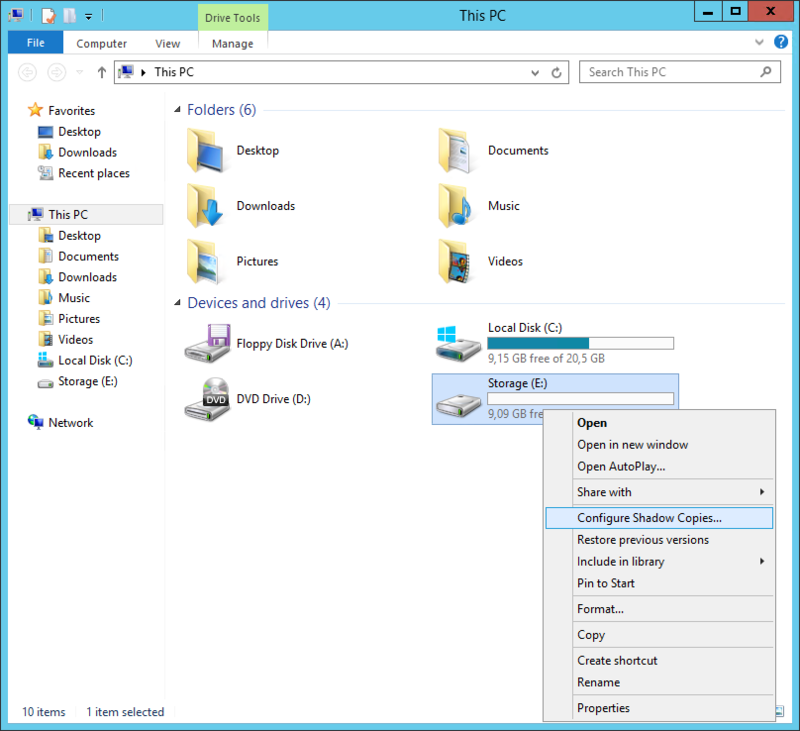 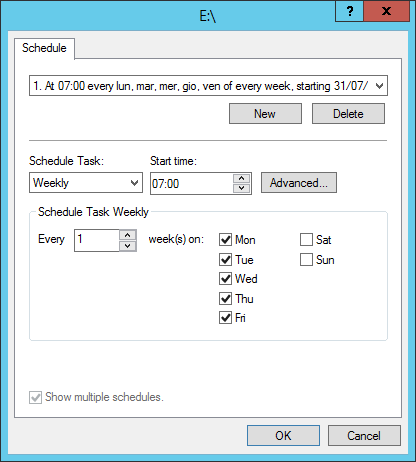 On Windows Server 2012 // 2012 R2 it’s quite easy to set up and restore operations are pretty straightforward. 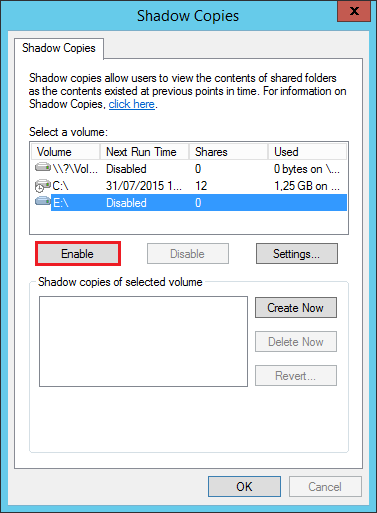 Note: Volume Shadow Copies allow to restore previous states of the entire volume, you can’t restore previous states of single files and/or folders.